Posted by Dwight Furrow in Culture, Current Events, Dwight Furrow's Posts, politics. We’ve made lots of progress on women’s rights over the past few decades. But old habits die hard. 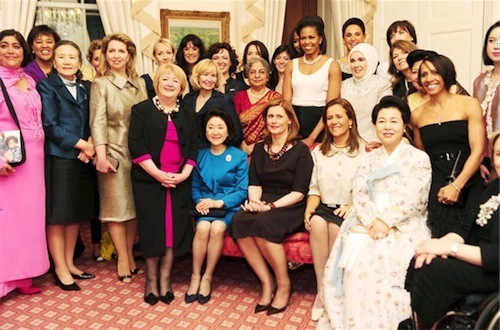 Via Matt Yglesias, here is a photo from the spouses dinner taken at the G-20 meeting of world leaders. Some G-20 leaders are women—we are their husbands?